Dave Zook is an advisor to the private and public sectors on federal budgetary, legislative and regulatory matters. His legal practice focuses on public policy and funding initiatives in the health, higher education and research arenas. 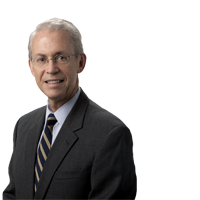 In addition to serving as the managing partner of Faegre Baker Daniels’ Washington, D.C. office, Dave is chair of the law firm’s consulting division, FaegreBD Consulting, where he leads the development of interdisciplinary, sector-focused services. Dave has a two-decade record of client accomplishments with Congress and the Executive Branch. He has directed complex federal relations initiatives for private sector companies, trade and voluntary associations, hospitals, universities and local governments. Several of those projects have involved building and operating nationwide coalitions. Dave’s background includes serving as associate counsel to the U.S. House Appropriations Committee where he focused on energy research and nuclear defense matters across the National Labs. Dave also worked in legislative and communications positions for two members of Congress. Later, he served as a senior executive of a national health organization where he established a public policy group.